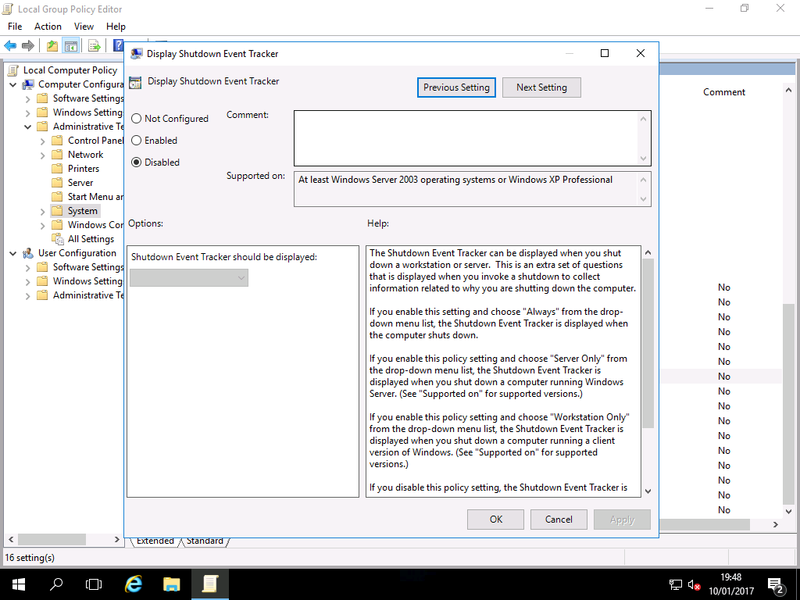 Disabling Shutdown Event Tracker – Windows 2016 & Wndows 2019 Workstation! When you shut down Windows Server 2016, you have to provide a reason. 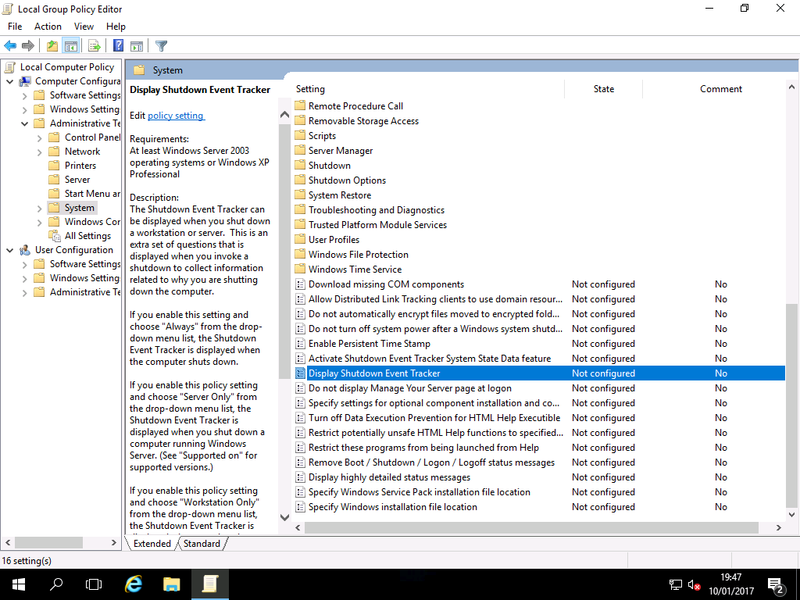 This logs the reason in the Event Viewer to make diagnosing / tracing reboots easier when investigating problems. 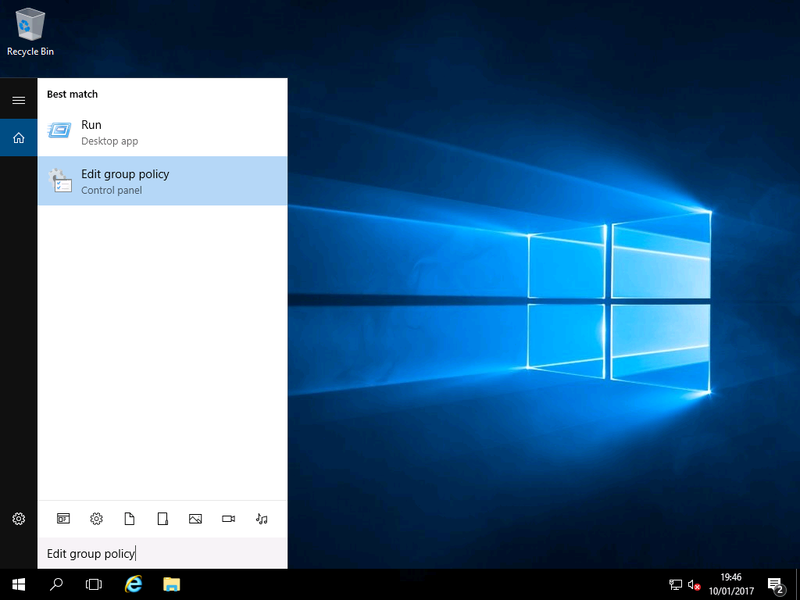 Of course when you use Windows Server 2016 as a desktop, you don”t want to have to choose it every time. 4) Reboot your PC for this to take effect. Don’t expand “System” just click on it.